pinterest.com is my new addiction. if you love anything…it’s for you. i love looking at blogs…i love seeing creativity…i love seeing new ideas…i love beautiful colors…i love yummy looking desserts…i love unique poses…i love stationary…i love it. i have been keeping a notebook of pose ideas, decorating ideas, home ideas etc…no more of printing or cutting from a magazine…that’s old school!!!! …it’s all on my pinterest site and my iPhone app. i’m addicted…and if you become addicted we should follow each other! if you notice some of my boards aren’t full…but some are…like my oh-so-good (food) and my cozy (home)…yeh two of my favorite things. 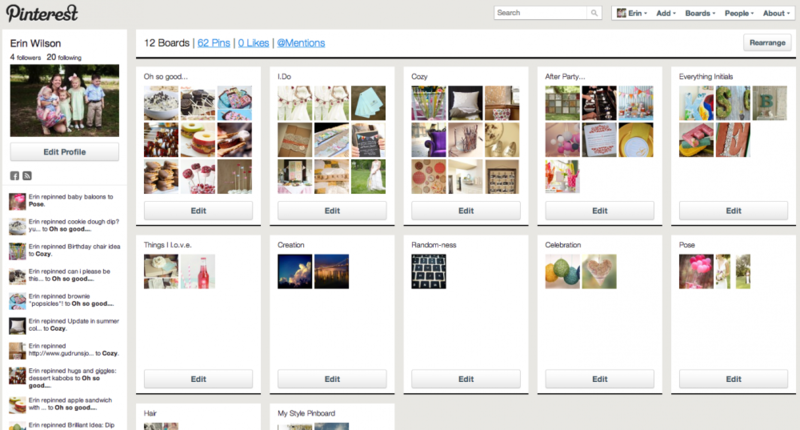 well i know my other boards will be pinned up before i know it…and i’m totally addicted!